Due to its prime location for speedy access to the gateways of the West N17, South M18 and North & East via the M4, the Maldron Hotel Sandy Road Galway is perfectly located for your stay in Galway. Within close proximity to the city centre, tourist attractions, hospitals including Galway Clinic and Galway’s corporate business parks and industrial estates it is the versatile accommodation choice. 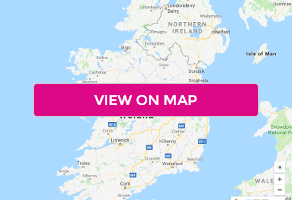 Whatever your desire… be it a leisure getaway, a relaxing shopping break, a base from which to explore Galway city or simply just to enjoy the vibrant nightlife, it’s all on Maldron Hotel Sandy Road Galway's doorstep. Conveniently located only a few minutes’ walk from the heart of the city. Maldron Hotel Sandy Road Galway completed a €8.7 million refurbishment in July of 2018. has 104 refurbished rooms, 61 brand new rooms and a newly renovated Grain & Grill bar & restaurant. All of the 165 bedrooms in the hotel are fully equipped with air conditioning. The hotel also offers complimentary underground car parking, WiFi and access to the fitness suite. Grain & Grill Bar & Restaurant offers up delicious, freshly made meals in the comfortable and chic surroundings of this newly designed bar and restaurant. Our range of Irish dishes with European influences has earned a following of discerning customers who appreciate the quality and the great value offered. €30 supplement applies for Friday night stays.